NOTE! English page is under construction! Please view the page in Finnish language! SPRAYCANKONTROL Ry is an urban culture association in Tampere area. Association organizes street art events, exhibitions and painting courses. 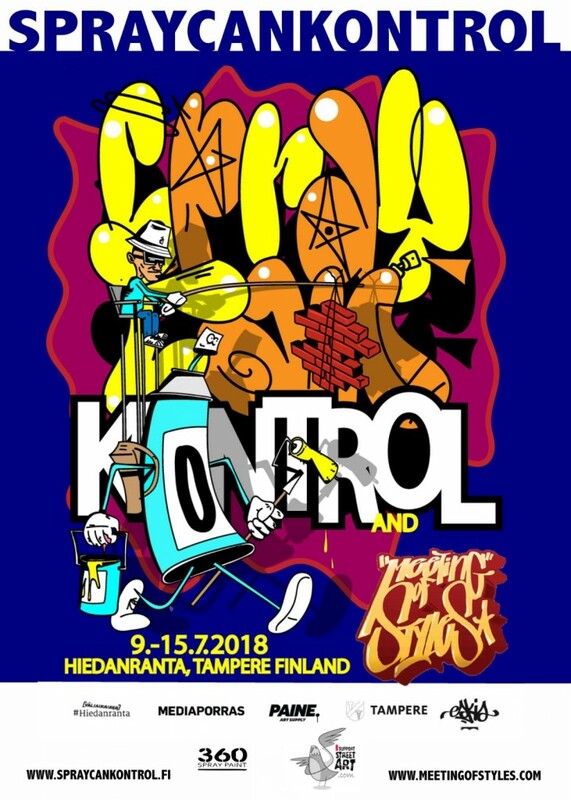 9.-15.7.2017 We organize urban art event SprayCanKontrol 2018 in Hiedanranta, Lielahti Tampere. We bring many painters around Finland and few international together to paint old factory walls. Event is free. Welcome to enjoy painting, music, food and people also this year! You can still see colorfull walls by 70 painters from 2017 event in Hiedanranta. Hiedanranta is accessible by bus 3, 21, 28, 35, 37, 80 and 85. (Hiedanranta, Lielahdenkatu 14, Tampere). Area is free to visit for public.